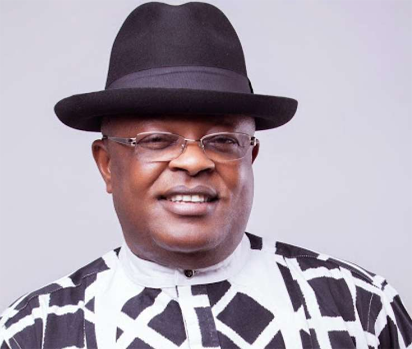 THE Movement for Greater Ebonyi, has called on the state governor, Chief Dave Umahi to arrest and prosecute those who were involved in what it called the collection of illegal levies in the state, noting that doing so would dismiss allegations that the government was behind it. It also said the suspension of the levies by the state government was not enough, adding that it was surprising that the act happened for a long time. The leader of the group, Mr. Silas Nworie, who said these in a statement, noted that the arrest and prosecution of those behind what was described as the exploitation of Ebonyi people should be considered a matter of urgency. His words: “Before the suspension of the illegal levies, many prominent Ebonyi indigenes had begged the state government to stop the activities of those extorting money from innocent Ebonyi residents in the guise of taxes and levies. But all pleas fell on deaf ears. “It is shameful that the government could be condescending. Ebonyi people cannot be deceived. What should be done now is to urgently arrest and prosecute those who extorted money from people. We learned that the perpetrators were carrying out the instruction of higher authorities.